Small, brightly colored Tide Pods might look like candy to children, but a dangerous social media trend has older kids daring each other to ingest the laundry detergent-filled packets. In the first 22 days of 2018, the Illinois Poison Center says it has received 31 calls related to people ingesting Tide Pods, with six of them associated with the dare. During the same time last year, the IPC received 25 calls related to ingestion of the pods – none of them tied to a dare or social media trend. Historically, exposure to laundry detergent pods has been unintentional: children and people with cognitive issues may get hold of them, according to IPC Director Dr. Mike Wahl. This is the first year people are reporting the intentional consumption of the detergent products as part of a dare, or to cause self-harm or commit suicide, he said. It’s no secret that laundry detergent pods can be dangerous, said Dr. Charles Nozicka, division director of pediatric emergency medicine at Advocate Children’s Hospital. Typically, children will spit them out as the chemicals start to break down, burning their mouths and lips in the process, Nozicka said. “Part of the problem with ingesting them as part of the challenge is the challenge is to swallow the whole packet,” he said. By the time the pod starts breaking down in the body, it’s too late to spit it out, causing teens to ingest large amounts of the “very toxic” chemicals, he said. Single-load laundry detergents like Tide Pods are enclosed in a thin, water-soluble pouch designed to dissolve in washing machines. They can quickly melt in a person’s mouth, releasing chemicals which can cause severe burns in the mouth and throat, heartburn, coughing, choking, acute breathing problems and lung aspiration, which can lead to hemorrhaging in the lungs and low oxygen levels. The chemicals can also cause depression of the central nervous system, which can lead to unconsciousness and even death. 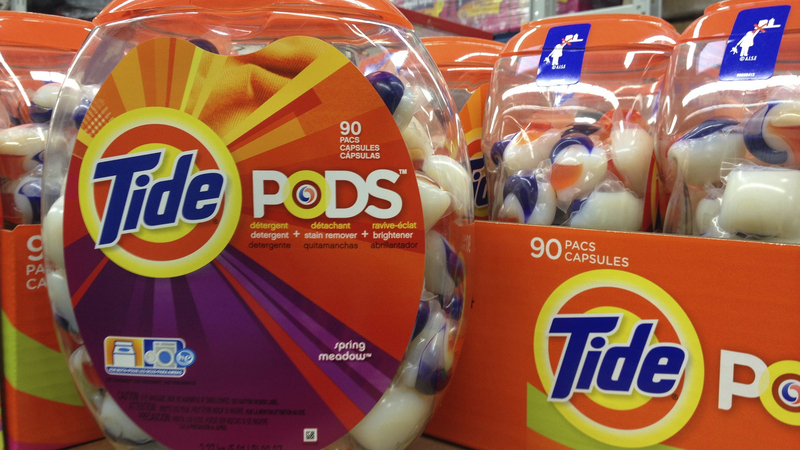 “Teens don’t know or are ignoring the consequences and bite into these [pods] and ingest a large amount, or they try to swallow the whole packet,” he said, adding social media has not spotlighted the “terrible” consequences and aftermath of consuming laundry detergent pods. Given the serious consequences of ingesting an entire laundry detergent pod, Nozicka recommends people call 911 if it happens. “These are very fast-acting clinical symptoms that develop from little packets,” he said. But children who ingest even a small amount of the chemicals should be brought to an emergency room, Nozicka says, even if they appear to be breathing and acting fine. “Even consuming small amounts can induce severe vomiting, abdominal pain, diarrhea and cause long-term damage,” he said. With all the buzz around the dare, Nozicka says parents should take this opportunity to talk about it with their teens. Jan. 23: A lack of drug stores in poor communities on the South and West Sides is creating so-called “pharmacy deserts.” What this means for some Chicago residents, and how researchers are looking for solutions. Jan. 10: Health officials say the flu is peaking early this year, with 100 more flu outbreaks statewide than at this time last season. How hospitals are handling the increased volume of patients.